Patients oftentimes come to our doctors at Arizona Dermatology to express their concerns about various hair restoration techniques. The majority of the time, patients have these concerns due to the common misconceptions about hair restoration procedures. In the past, hair transplants garnered the reputation of appearing unrealistic and unnatural, as the medical technology available at the time only allowed surgeons to transplant hair in large grafts. However, in recent years, technology has advanced significantly, paving the way for hair restoration procedures that yield nearly undetectable results. It would be a mistake to allow common misconceptions prevent you from seeking out an effective treatment for hair loss. 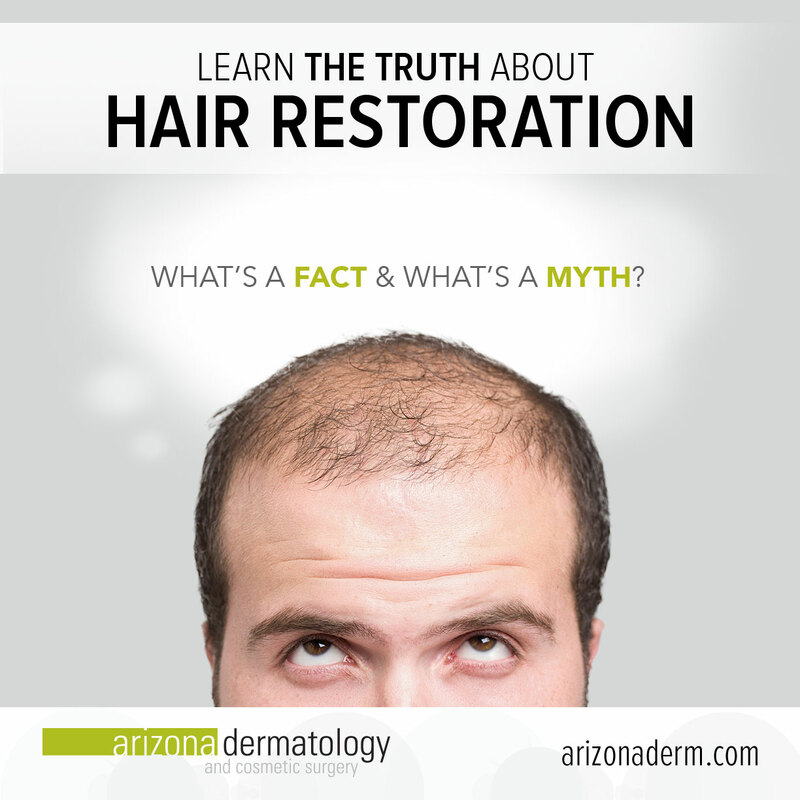 Read on to finally discover the truth about the effective hair restoration treatments offered at Arizona Dermatology. Many patients believe that hair transplants are only successful when performed on younger, healthier men; when in fact, it’s quite the opposite. Hair restoration procedures are most effective later in life, generally after the age of 25, when the majority or all of your hair loss has already occurred. For individuals who are just beginning to experience hair loss and are looking into hair transplantation, the best approach is to wait until your symptoms have run their course. Given that it’s difficult for a physician to determine the future boundaries of hair loss, if the procedure is done too early, hair loss may continue around or through the transplanted hairs, leaving you with an unnatural appearance. For best results, we recommend setting up a consultation appointment to see if you’re a candidate for hair transplantation. No matter the severity of hair loss, the results from a hair restoration procedure are always aimed at looking natural and subtle. 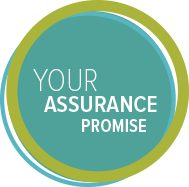 Our doctors are dedicated to this promise, and the vast majority of the time these results are achieved. How are the natural results achieved? Both Follicular Unit Transplantation and Follicular Unit Extraction involve a highly advanced and precise surgery, in which the transplanted hairs are broken into small groups of one, two, or three follicles at a time before insertion into the new location. In the past, the existing technology only allowed surgeons to transplant large grafts of several hundred follicles at once, which led to an unnatural and foreign appearance. Neither FUT nor FUE utilizes this method. Using either method of hair transplantation, our experienced surgeons determine the most effective angle, location, and distribution of the transplanted hairs. When executed properly, these attributes help achieve the best possible aesthetic look and give you hair that will continue to grow naturally in the predetermined direction. Further, the transplanted hairs are extracted exclusively from donor sites on areas of the patient’s own scalp or body, and therefore will not appear foreign or out of place. Over time, the new follicles will begin to grow hair naturally, and will blend in seamlessly with your original hair. Another common misconception about hair restoration treatments is that transplanted hairs require specialized treatment; which is not proven to be true. On the contrary, less than three weeks after the operation, hair follicles are permanent and don’t require any specialized treatment. The hair can be cut and styled in any way, and any kind of shampoo, conditioner, product, or even hair dye will yield the same results as your untouched hair. Are there any requirements for recovery? In terms of recovery, your scalp may be tender and require some minor treatment while it heals. But we find that most individuals are able to go back to their normal routine after a few days. A few weeks following your treatment, the transplanted hairs will fall out and make room for the follicles to begin growing new, healthy hair. Patients can expect to see new growth after just a few months. Unlike other transplant procedures, hair transplants don’t require a “donor” or “recipient.” Instead, all the hair comes from the patient’s own body. A hair transplantation procedure done with another person’s hair is not yet medically possible, as the recipient’s body would reject the foreign hairs and the procedure would be unsuccessful. Only hairs from your own body or scalp can be transplanted. Since hair loss doesn’t affect the sides and back of the scalp, the hair transplanted from these areas will be strong, permanent, and grow equally as full. A few weeks after your surgery the transplanted hairs will fall out, but this is to be expected. Once the hair starts growing back, the results will be permanent. As aforementioned, the donor site from which the hair is pulled from is the region of the scalp that’s unaffected by the hair loss, and therefore will grow as it normally would in the transplanted area. In most cases, patients experience new growth in the transplanted hair approximately four months after the surgery. When the hair begins to grow, patients can expect about a half-inch of growth per month, with 60% of new growth occurring after six to nine months. These results will last a lifetime. Once the surgery and recovery is completed, patients will never again experience hair loss in the transplanted area. If you are experiencing hair loss of any kind, it’s important to contact your local dermatologist to have a professional evaluate your situation and determine the best approach for you.